Southwark Cathedral, the oldest cathedral church building in London is not only a place of worship but it’s also been a haven of hospitality to all sorts of people over the years. Princes, paupers, poets, playwrights, prisoners and patients have all found refuge there but on Monday July 3rd this historic building was the setting for Songs of Praise, a special evening of music, prayers and reflections chosen in light of recent tragic events in London and Manchester. 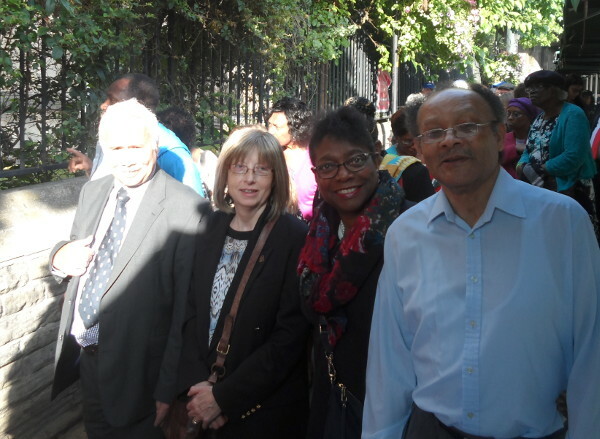 Churches in the borough of Southwark were all invited and six of us, Gordon Brown from Central London, George and Sue McGowan from Stratford and Geoff Stilwell, Barbara and myself were there along with hundreds of others. We entered the building poignantly enough against the back drop of Borough Market, scene of one of the recent atrocities, and were ushered to our seats right up the front. During the service we were asked to light some candles for the occasion but all in all it was a good evening. We saw presenter Aled Jones doing his hosting duties and got to see first-hand the glamour, if you could call it that, of television production as we had to sing all of the songs about four or five times while trying to enunciate certain words. 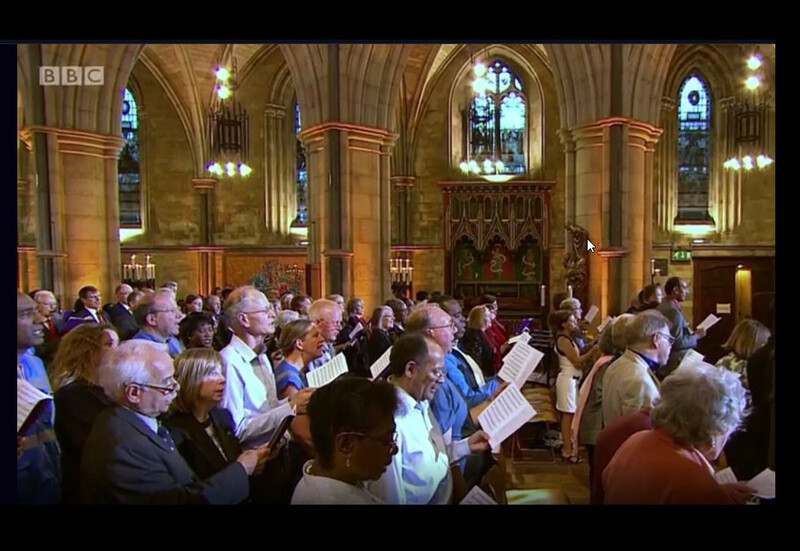 This edition of Songs of Praise was broadcast on the 30th of July, BBC One at 3 o’clock.